Skin allergies cause a reaction when an allergen comes in direct contact with the skin, often producing a red, itchy rash or hives (red, swollen bumps or welts, also called urticaria) in the affected area. Treatment for a skin allergy reaction includes alleviating the symptoms. Resist the urge to scratch, as that can worsen discomfort or lead to infection. Once you know what substance you are allergic to, you can typically avoid touching it. For more severe reactions, your Fort Worth allergy specialist can prescribe a stronger medication if necessary. Most rashes resolve within a few weeks and most skin allergies do not present life-threatening symptoms. Insect sting allergies are often confused with a typical reaction to an insect bite or sting. 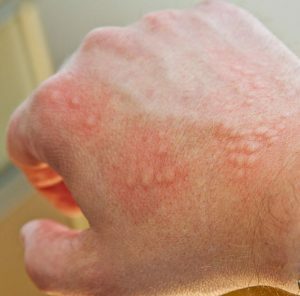 Most people develop swelling, pain, and redness around the site of the sting. Others may experience a large local reaction which causes a larger area of swelling, such as the entire leg or arm. This does not necessarily indicate an insect sting/bite allergy and generally resolves within a week or so. People who experience large local reactions to insect stings may have a much less severe reaction if stung again or may actually have a sting allergy. A severe allergic reaction to an insect sting can be life-threatening and should be treated as an emergency. Because these insects’ stingers contain venom, the area should be washed with soap and water as soon as possible to remove the venom. Ice packs applied to the sting site will help reduce swelling and alleviate discomfort. Over-the-counter medications to relieve itching can also be used. If you feel that you are experiencing symptoms of a severe insect sting allergy, go to the emergency room or call 911 immediately. Medication can be the cause of an allergic reaction in some patients. A person can be allergic to an over-the-counter, herbal, or a prescription medicine. Experiencing an unwanted side effect from a drug is not an allergic reaction. Food allergies are more common in children than in adults and can produce some of the most severe allergic reactions. 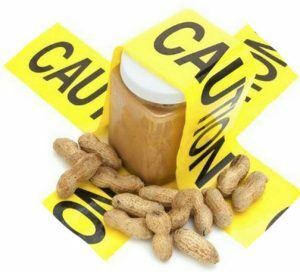 Food allergies (or food hypersensitivities) are quite common with over 3 million cases treated per year in the U.S. Like other allergies, food allergies can present at any age or develop suddenly in reaction to a food that has been consumed many times with no reaction. Food allergy symptoms can range from mild (such as stomach cramps and delayed eczema) to severe (such as anaphylaxis). Most food allergy reactions occur within minutes of ingesting the allergen, but in some cases, can take several hours to produce symptoms. Some food allergens are more commonly outgrown as children age (such as eggs and milk). The best course of treatment for food allergens is avoidance. 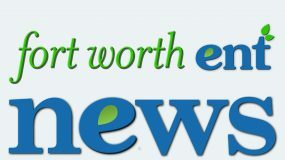 Your Fort Worth allergy specialist can advise you further on managing food allergies. 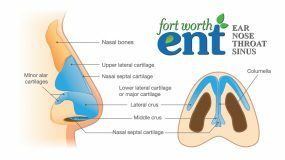 At Fort Worth ENT, we offer a multidisciplinary approach to allergy treatment. 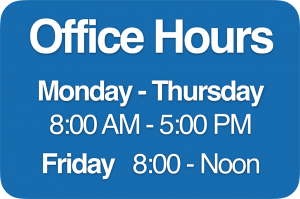 If you are looking for an allergy specialist in Fort Worth, please contact our office at 817-332-8848 for an appointment or submit an online appointment request.